Your work is very appreciable. It would be more helpful if you can keep the bus route map directly as a google map itself without converting it to an image. In that way, people in need of travel guide, can zoom in and out the google map and explore the route map with more valuable details. Also, it would be very nice if there is a search facility like “From bus stand A – To bus stand B” and in the search result appear all the buses that go through those bus stops. Thanks for your feedback. Unfortunately for us Google started charging money to use their maps API so we had a monthly bill of $180!! We will work out another solution soon. 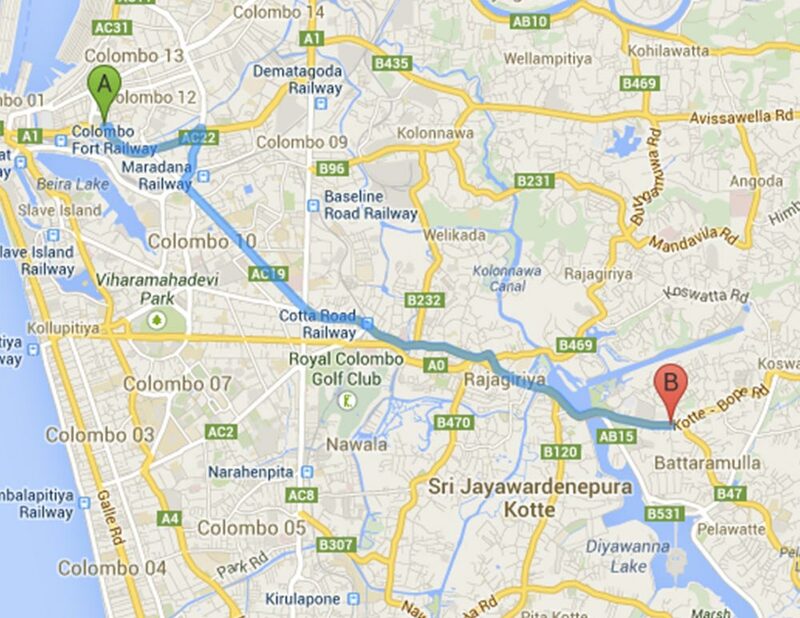 At what time does the last buss leave from fort/pettah in the evening ? Is there any 190 buses after 9.00pm ? Is there any bus strike on morning? What time is the bus start in the morning ? what time is the earliest bus ?